Recently I’d been craving a barley drink I had in Malaysia, so I bought a bag of the stuff and now I’m trying to figure out what to do with the rest of it! 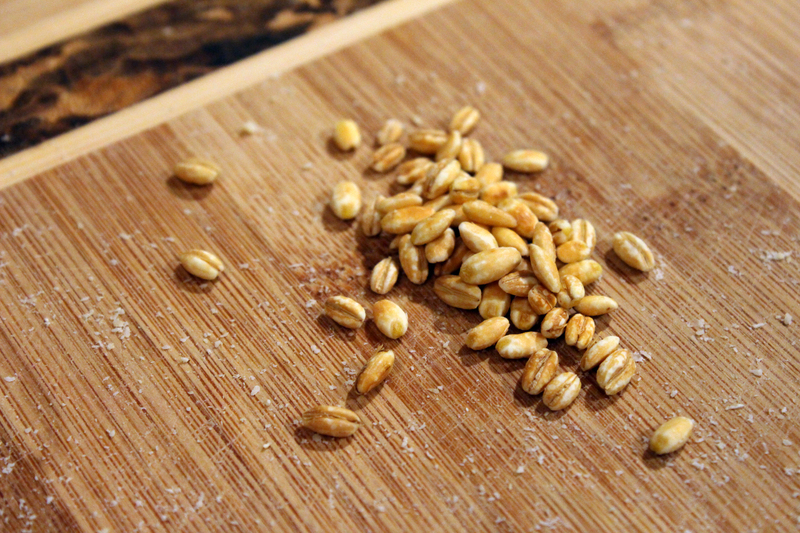 In case you’re not familiar with barley, it is a cereal grain that I think is highly underrated. It has more protein and fiber than rice- so as someone who is not a huge fan of rice (I know, bad Asian) I much prefer barley. Taste-wise it has more bite to it than other cereal grains and is slightly nutty in flavor. I toasted my barley till it just turned golden brown to bring out that nuttiness before cooking it. It’s technically not a pilaf since it isn’t rice and I didn’t cook it in broth. It’s equal parts quinoa and barley- so which is the primary ingredient? There’s more mushroom in it volume-wise, but they shrink so much when they cook down, so does it still count as the main ingredient???? In any case, it is another experiment from my kitchen. So if you come up with a decent name for it (or if there is one already) PLEASE let me know! 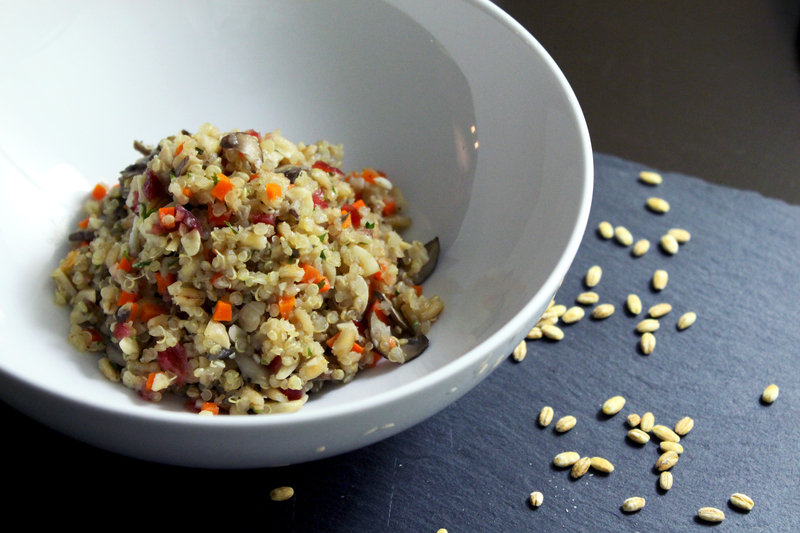 The main ingredients are barley, quinoa, cashews, cremini mushrooms, oyster mushrooms, carrots, and dried cranberries. It’s hearty and delicious- both savory and sweet, with a bit of texture and chewiness. I was definitely inspired by this farro dish on Cooking at Sabrinas (although the two dishes are very different). It’s great paired with a lean protein. All the chopping and dicing takes a little bit longer than a grain medley you could get boxed, but it’s so much better fresh! Plus, once the prep work is done everything goes into a pot at different times and it pretty much takes care of itself. 1 . In a medium size sauce pan on medium heat, toast the barley, constantly swirling it in the pan until it is golden brown. You should start to smell that nutty aroma, but pay close attention and don’t let it burn! 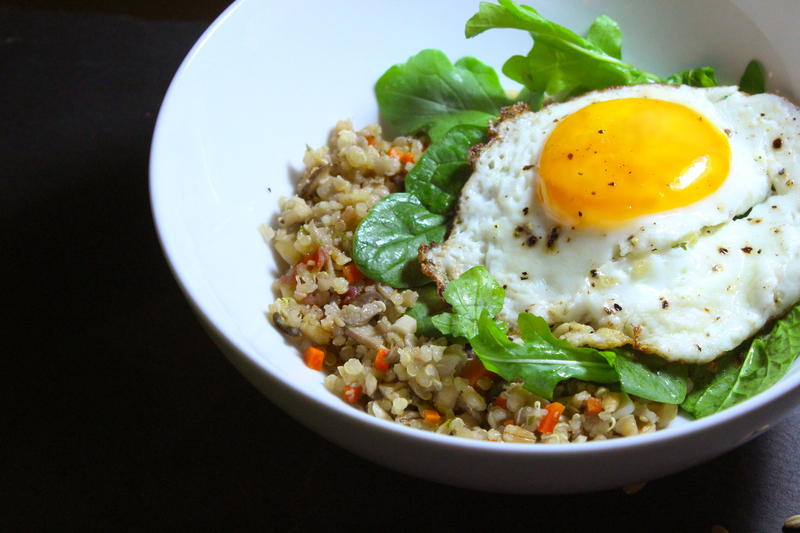 Set barley aside in a medium sized bowl with the quinoa. 2. 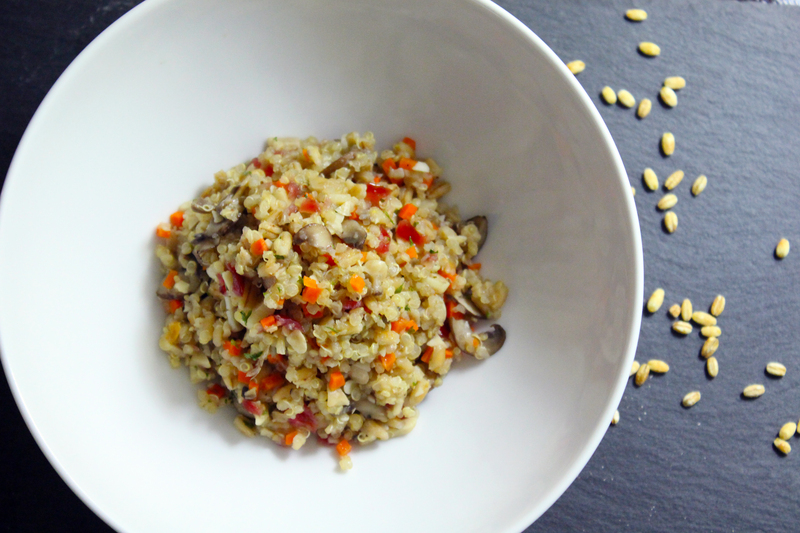 Coarsely chop up cashews and add to the bowl with the barley and quinoa. 3. In the same sauce pan, heat up the butter on high. 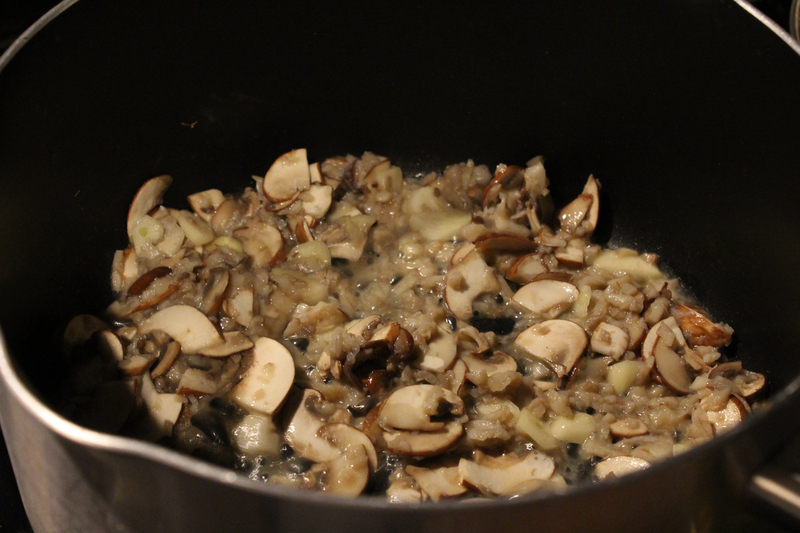 Once it’s melted and starts to bubble, add the mushrooms, garlic, salt and pepper. Cook for about 2 minutes. 4. Add the grains and cashews to the pan, give it a good stir, then add enough water to just cover the entire mixture. Cover with lid. 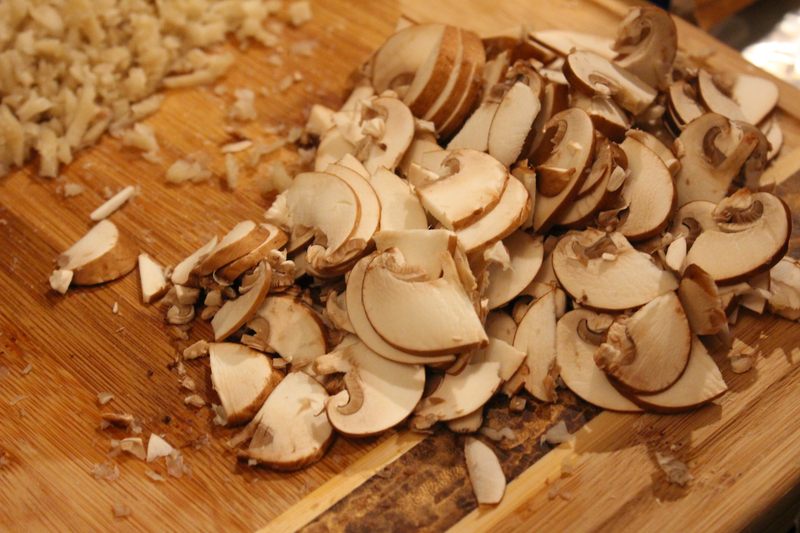 Note: You could also use chicken stock for even deeper umami flavor and cut out the salt. 5. Wait till it reaches a boil, then reduce heat to your lowest setting and cover with lid. 6. While the grains cook, dice up the carrot- you will only need about one third to a half a cup. Set aside in a small bowl. Dice up the dried cranberries and add to the carrots. 7. About 10 minutes into cooking the grains, throw the cranberries and carrots on top of the mixture and replace the lid so it cooks just enough for the colors to brighten up. Continue to cook on low for about 3-4 minutes or until it looks like the grains have soaked up all the liquid. Note: I add the carrots and cranberries at the end so the colors don’t get soaked up and so they don’t get too soft. 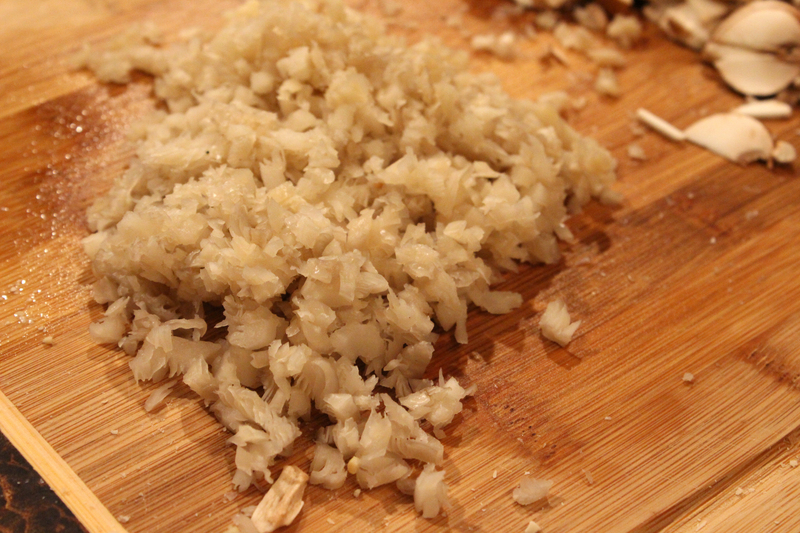 Like rice, don’t mess with the pan and move the grains around before they are done or they won’t cook properly! To check if it’s done, I push aside a small portion of the grain and tilt the pan forward in that direction. If it looks just moist and there is no liquid at the bottom you’re good to go. 8. Once it’s done, add the dried parsley, and toss so everything is evenly mixed together. You can enjoy it on its own or with some protein. I had mine with a bit of baby arugula and spinach and a sunny side up egg. Yums. This looks delicious! I love barley. I love the texture. There’s something really satisfying about the chew. The sunny side up egg is a nice touch too.